There will be a Stock Show University Sheep Clinic at this years American Royal TODAY October 19th at 6:30pm. 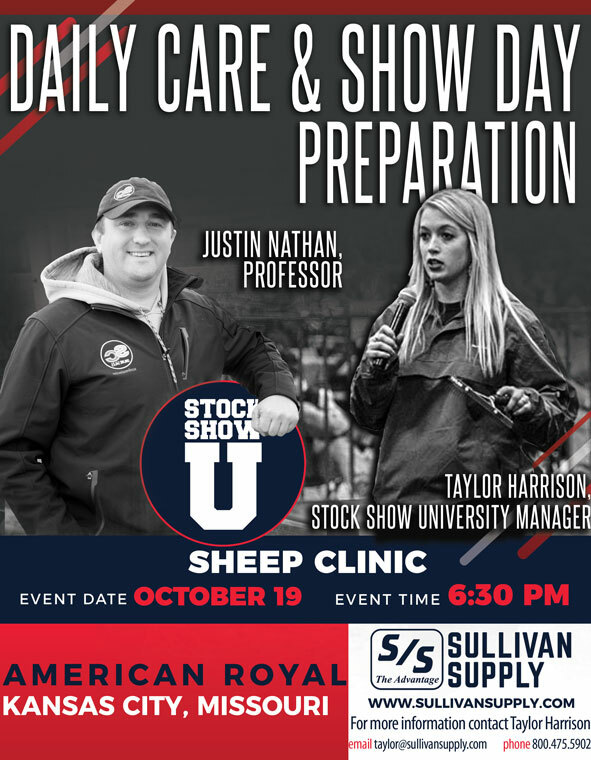 The curriculum will be Daily Care & Show Day Preparation featuring Stock Show University Manager, Taylor Harrison and Professor, Justin Nathan. Following the clinic will be a team fitting contest for sheep exhibitors! We hope to see you there!